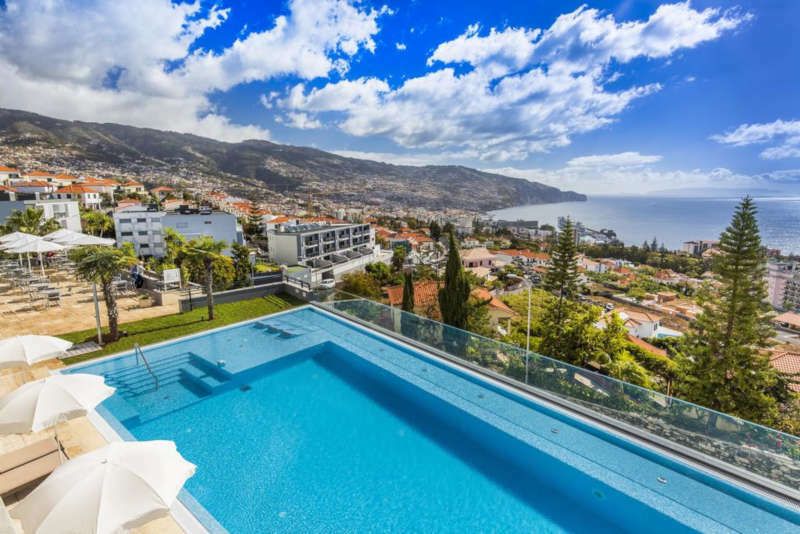 Excellently located in a privileged area, on the western slope of the amphitheatre of Funchal, enjoying a vast panorama of mountains, city, and sea. The endless horizon, sunshine, and surrounding nature, gives an atmosphere for calm tranquillity. The hotel is accessible and features disabled adapted rooms, featuring accessible wet rooms. The wet room features a WC with drop-down grab rails; a height-adjustable sink with wheelchair space underneath; grab rails throughout the wet room, bath, and wheel-in shower; and a shower seat. The wheel-in shower has a lip. There is wide floor space throughout the room for turning.